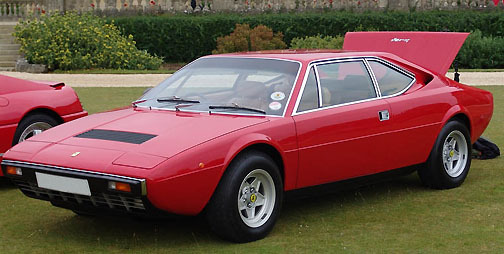 Delivered new through "Maranello Concessionaires Ltd." in August 1979 to Mr. E. J. W. of Hampshire. 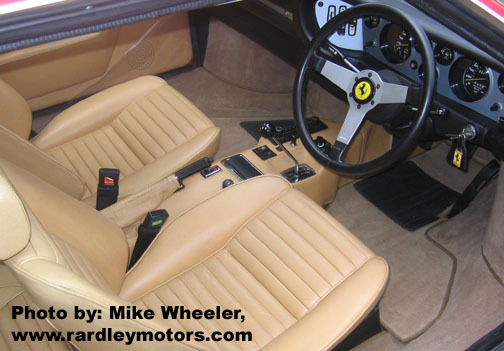 In March 1981, the car was consigned to "Maranello Concessionaires Ltd." and was sold to Mr. E. G. L. of Swansea. In November 1982, the car was consigned again to "Maranello Concessionaires Ltd." and was sold to Mr. R. A. H. of Weybridge, Surrey. In June 1984, Mr. I. B. of Beaconsfield, Bucks, purchased the car. In September 1985, Mr. P. B. of Stanmore, Middlesex, purchased the car. In March 1986, Mr. B. C. of Lechlade, Gloucestershire, purchased the car. Shortly after purchase, Mr. B. C. moved to California and entrusted the car to "Bob Houghton Ltd." of Gloucestershire, for storage and maintenance. In September 2001, Mr. Bob Houghton purchased the car. In October 2003, Mr. A. E. of Gloucestershire, purchased the car from Mr. Houghton, the car had only 18,000mi on the odometer at that time. Mr. A. E. entered the car in the 2004 FOC Annual Concours (First of the above photos taken of the car at that event). In October 2006, the car was purchased by Mr. Paul S. of Glasgow, Scotland, through "Rardley Motors". Paul commissioned a full stainless-steel exhaust system replacement at time of purchase.